Six months beyond Somaliland’s presidential election on November 13th 2017, “The Limits of Consensus?”, the final report by the DPU-led, UK government-funded international election observation mission, has delivered the mission’s findings. The report was launched in London in March; an event in New Zealand, host to a small Somali community, followed in April. More lies ahead: the report is the basis of a conference at the European Parliament in Brussels in late May. And in July, the report will launch in Somaliland itself, at the Hargeisa International Book Fair and Somali Studies International Association conference. There’s a history between the DPU and the internationally-unrecognised Horn of Africa country, stretching back a decade-and-a-half. Mainly under the guidance of senior lecturer Dr Michael Walls (who led the 2017 mission), it encompasses women’s political participation, gendered settlements and land markets, as well as elections. This election marked the fourth time the DPU had observed in Somaliland since 2005, but the first in the leadership role, alongside UCL Consultants as project managers. With the election repeatedly delayed since 2015 (partly by devastating drought in the Horn), short notice posed organisational challenges. 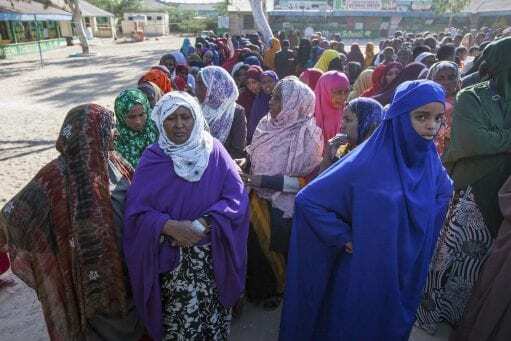 In the end, 60 observers from 27 countries, recruited to balance local knowledge, election experience, gender and nationality, successfully observed 355 polling stations, some 22% of the total, across Somaliland’s six regions and 17 of its 21 districts, without serious security problems. Stakes were high: with the poll following a tense election in Kenya, which saw observers criticised for being seen to commend a result that was nullified soon after in Kenya’s courts, international election observation itself was under question. Thus, the mission’s press releases and public statements, including the final report, have been carefully worded. Such efforts were not entirely successful—shortly after 2017’s results were declared, a piece in the Financial Times carrying the byline of the elected president, claimed that the election had been “certified as free and fair by a 60-strong team of international observers”. In fact, findings at the time, and in the final report, are far more nuanced. As the title suggests, the stakes were high for Somaliland too. An incumbent president was stepping down, sharpening the contest between the ruling Kulmiye party and the two opposition parties in an executive-dominated system. Hopes were that the peaceful transition of power following the 2010 presidential election would not be a hard act to follow, and that a pioneering new biometric voter registration system (its implementation also observed by DPU) would lay to rest problems that had undermined the 2012 district and council elections. 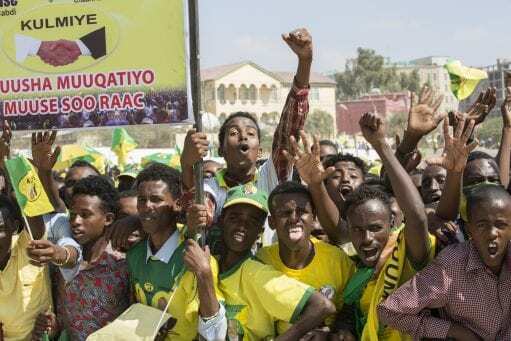 Yet with a political climate increasingly influenced by clanism, long-standing grievances from opposition supporters at Kulmiye’s long dominance and grumblings about growing inflation and corruption, a smooth path was by no means certain. So it was with some relief that the three-week campaign and polling day itself went relatively well. True, the boisterous campaign saw outbreaks of that political must-have, fake news, alongside clanism, character assassination and isolated violence in the second week—but to loud disapproval from the electorate. There were notable firsts—the first-ever televised presidential debate in Somaliland, and the first participation in an election of some of the disputed eastern regions (allowing the mission to travel further eastwards than for past observations). 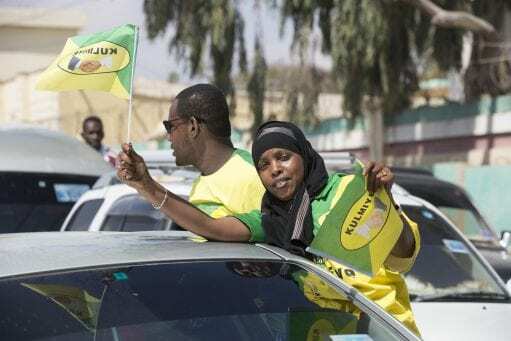 And polling day itself—if not entirely flawless—was relatively peaceful, testament to an election well organised by Somaliland’s National Electoral Commission (NEC). Sadly, the peace was not to last. Delays in counting votes saw wildly conflicting rumours of results circulate freely, alongside claims and rumours of electoral malpractice in favour of Kulmiye. 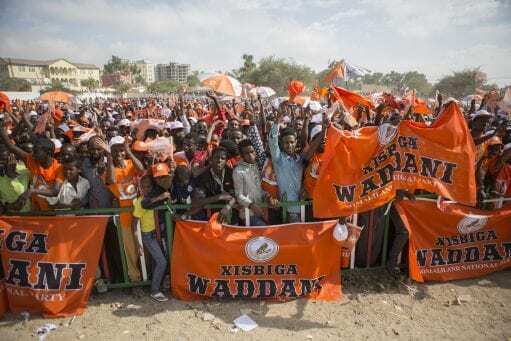 With tempers running high, there was sporadic violence, and several deaths, before the candidate for Waddani, the main opposition, agreed to accept the results (without endorsing them) for the sake of Somaliland. On November 21st, the NEC announced the results, deeming Muse Bihi of Kulmiye the new elected president, with 55.10% of the vote. On November 28th, Somaliland’s Supreme Court upheld the result after receiving—despite the claims and counter-claims following polling day—no formal complaints, and the new president was inaugurated on schedule on December 13th. Despite the deeply disappointing aftermath, the mission stands by its findings—of a well-organised election, albeit with many issues needing fixing, addressed in a long list of recommendations. Further, the irregularities observed were deemed not of sufficient scale to have impacted the final result. So why “The Limits of Consensus”? Mainly because Somaliland has been here before. On its long journey since declaring independence from Somalia in 1991, Somaliland has, in building its own democratic model—a process far from conflict-free—relied time and again on customary dispute-resolution mechanisms to pull a tense situation back from the brink. This suggests over-reliance on the customary systems that have taken Somaliland so far. And, side by side with a regrettable entrenchment of clanism in politics, the stakes are increasing. Deals with the United Arab Emirates around the port of Berbera mean real wealth is at stake, and put Somaliland at the centre of a complicated mosaic of regional power politics. While the 2017 presidential election has been put to bed, the political and clan-based divisions remain. And a long-delayed parliamentary election, scheduled for March 2019 and sure to be a far more complicated contest than the relatively straightforward presidential one, is fast approaching. If, and when, that poll goes ahead, the DPU hopes to again be part of an observation mission, to a successful poll. Most of all, the mission hopes that the long list of recommendations that closes “The Limits of Consensus?” will be taken on board. Perhaps with goodwill on all sides, the words “free and fair” can one day be used to describe an election in Somaliland—but by the election observers, not the political victors. Michael Walls is a senior lecture at the DPU and the co-director of the MSc Development Administration and Planning programme. Conrad Heine, London-based and from New Zealand, is a journalist and was Media Coordinator for the international observation mission to Somaliland’s 2017 presidential election. He has been working in Somaliland since 2005, and has now observed four elections there.